One disc just ain't big enough for the whole of this Western adventure. 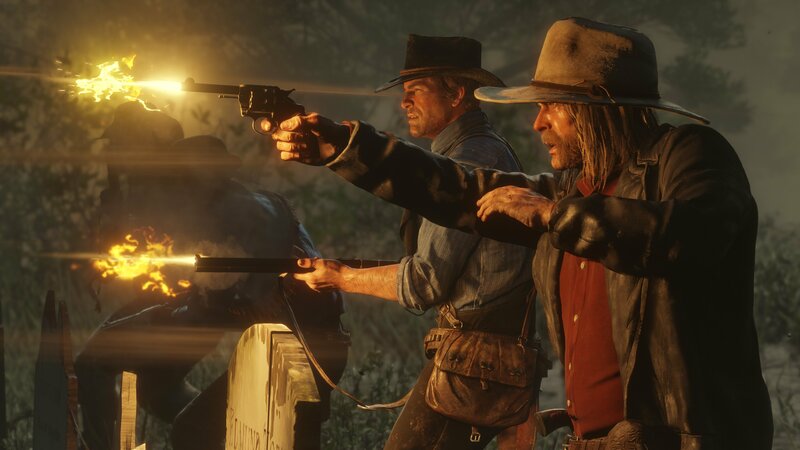 It looks like Red Dead Redemption 2 could be a bit too massive for one PlayStation 4 disc to hold. If the Japanese packaging for the physical edition on PS4 is to be believed, the game will be shipping with two discs instead of one. With a massive script for Red Dead Redemption 2 as well as the lengthy campaign that's expected, it's not surprising that it'll take up this much space. It's not often we see a double disc package these days, but with Red Dead Redemption 2's purported file sizes ranging from 88 to 105 GB, it's likely one dual layer Blu-ray disc won't be enough to contain this monstrous package. With one Blu-ray able to hold a maximum of 50Gb of data, it seems like a no-brainer that the game would need two discs to hold all this Western-flavored action, with the Xbox One requiring the same kind of data spread. Of course, we're not sure which content will be spread across the two discs at this point, nor whether this Japanese packaging is the real deal. But given what we already know about the game, it's a safe assumption to make. We won't know for sure until we get our hands on a retail copy of the game, which is set to launch on October 26 for Xbox One and PlayStation 4. If you're opting for a digital version, you can start pre-loading the game on Friday, just in case you've got a slower internet connection that needs some time for this behemoth to get loaded up. Red Dead Redemption 2 is going to be big, literally.